I’m running a road half-marathon this weekend and the anticipation is bittersweet. In 2016 and 2017, I ran the full marathon distance for this race. This year, I gave myself permission to scale back my training and aim for the half, instead. I changed my registered distance and dropped my weekly training distance from 65km to 43km. I’ve benefited mentally from the extra rest, and it’ll be fun to run a slightly different route this year. I have to remind myself that this was a conscious choice and that it’s been good for me (and my relationships, and my work). The full 42.2km will still be there next year! This will also be my last race under the classification of “male” and the designation of my old name. I think I could have changed that information with the race organizers, but it probably ﻿would have required providing documentation that I’ve already surrendered as part of the process of updating my details elsewhere. It feels strange, but I mind way less than I thought I would. Right now I don’t ever feel like I’ll use the term “deadname” to refer to my old identity. It’s who I was, and that informed who I am now. 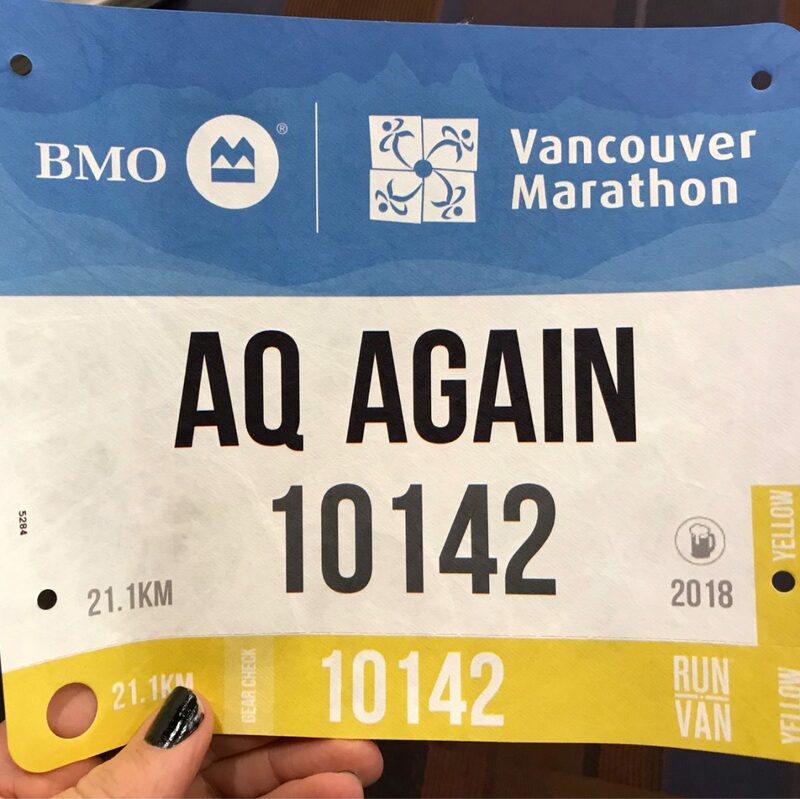 Having my old name on the back of my bib is a reminder of the work I’ve done to be comfortable in this body – work I began before I ever dreamed I might ever have a different name on my ID.